Learn Namaz Niyah and Takbeer Tehreema. The most important and the first step to the Namaz (Salat) is Niyah. 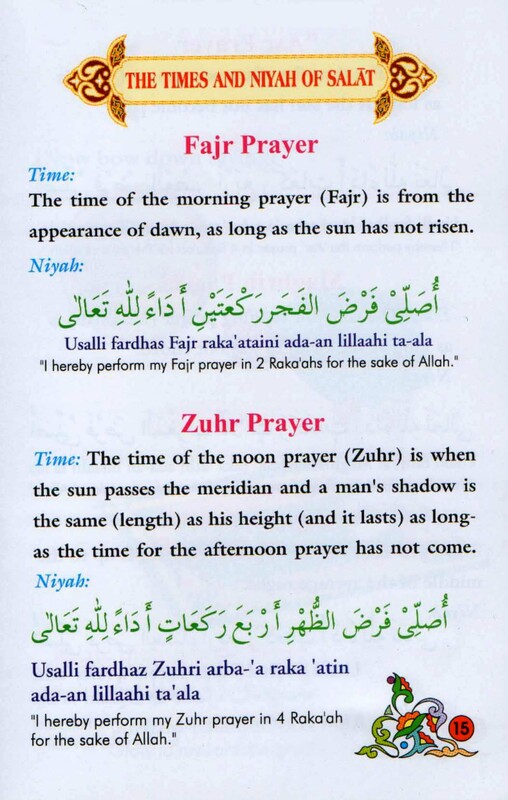 The Namaz Niyah depends upon the timing that you are offering your prayer. The rakats that you are reading in Nea can be don in your own language. As well in your heart before starting the Namaz (Salat). 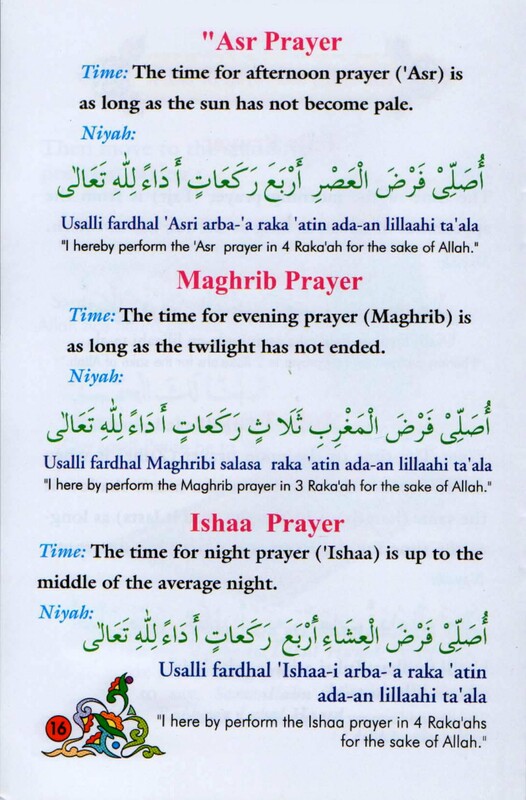 if read in Arabic it great see below for Niyah of different Namaz (Salah). Namaz nea Asar, Magrab, Ishaa. Doing Qayam (standing straight) to start the salath after doing Namaz Niyah. qayam for namaz after namaz nea. 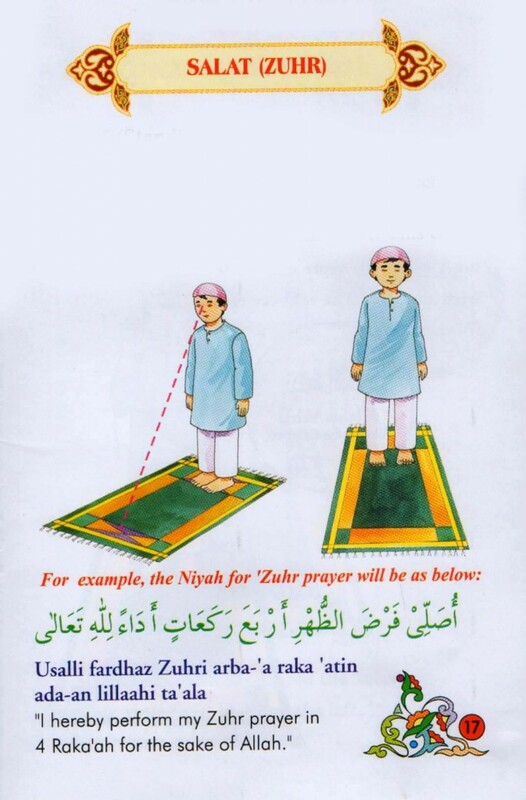 One must stand facing the qiblah, and keep mind free from all worldly thoughts. Then recite the verbal Niyah for the prayer in Arabic . Concurrently invoke the Niyah of prayer in your heart. Niyah can also be don it ones own language as well see blow for eg. This is the first takbeer which begins the consecrated state of Namaz (Salat) , as one says it , one is forbidden to talk or do any thing that has nothing to do with his prayers . When you say takbeer rise both hand in line with ear lob and say the takbeer listen to takbeer below. Now Qayam for the first rakat. You have to place your right hand on the left , just above on the navel, thumbs and little finger will grip the wrist of left hand as follow. Please share it to help other gain the knowledge of Islam by linking and sharing on facebook google or just a tweet. To let Muslim correct there namaz. 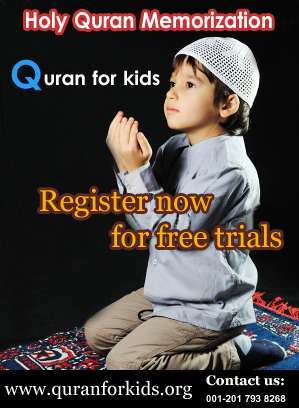 Help us make our program free for every Muslim. share from the icons on left.